The story of Noah’s Ark is one of the most memorable from the bible. In that story, God seeks to punish the people of Earth for straying from his guidance by sending a flood to cleanse the Earth of sin. Noah and his family are chosen for survival and told to build an ark. On that wooden boat, his family loads two of every animal on the Earth to ensure the survival of humanity and the animal kingdom. 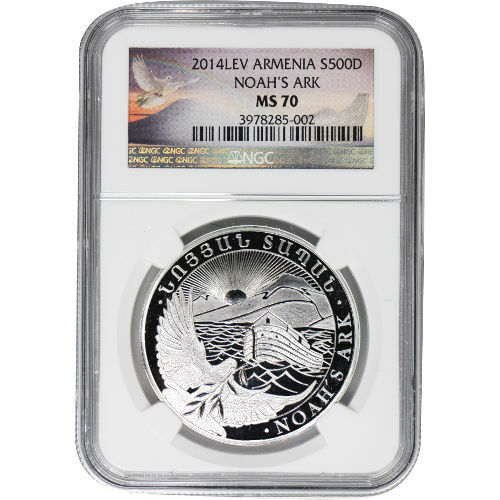 Now, you can own a stunning rendition of this narrative on the 2014 1 oz Silver Armenian Noah’s Ark coin, with an MS70 grade from the Numismatic Guaranty Corporation. Noah’s Ark has a significant link to the nation of Armenia. The motif was chosen for Armenia’s official silver bullion coin because the ark reportedly came to a rest atop Mount Ararat. Throughout much of human history, Mount Ararat was within the borders of Armenia. Only after the nation’s borders were redrawn following World War I was the mountain’s no longer within Armenia. 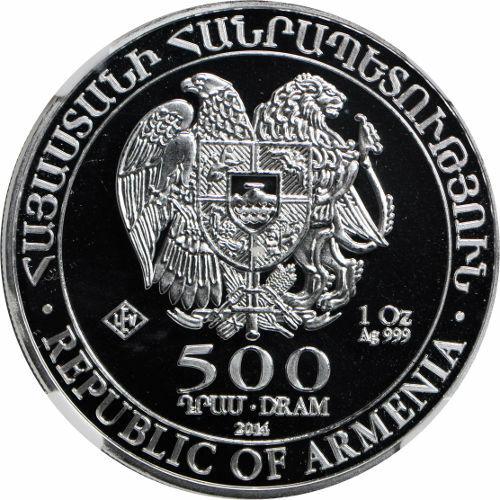 On the obverse side of the coin, the national coat of arms for Armenia is featured. Engravings on this side include the phrase “Republic of Armenia” in both Armenian and English. The weight, purity, and metal content of the coin are also inscribed on the obverse side. 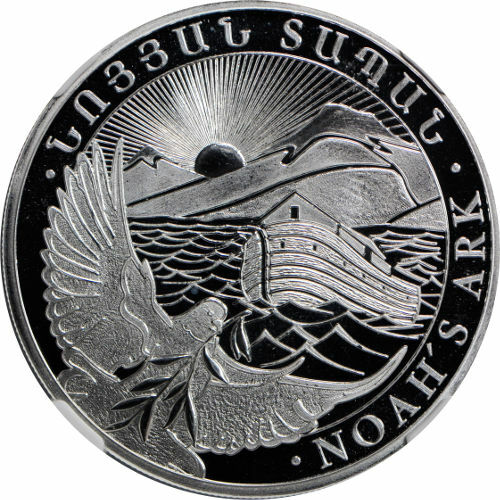 The reverse side of the 2014 1 oz Silver Armenian Noah’s Ark coin bears the stunning image of Noah’s Ark. In the image, the ark can be seen floating atop the flood waters. Mount Ararat rises in the background, as the sun just begins to crest the mountain. In the foreground, a lone dove appears with an olive branch in its beak. The engraving “Noah’s Ark” is featured on this side in both Armenian and English. 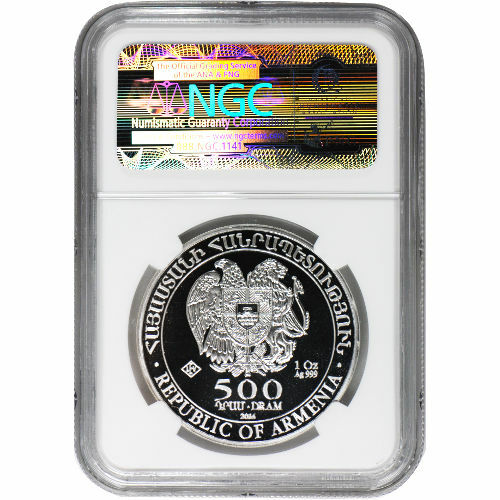 2014 1 oz Silver Armenian Noah’s Ark coins are not actually minted in Armenia, but rather are produced by the Leipziger Edelmetallverarbeitungs GmbH Mint in Germany. Each of these coins are graded MS70 by the NGC, which means they are considered perfect mint strikes with no blemishes. 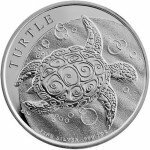 If you have any questions about this coin, or any other bullion product from Silver.com, don’t hesitate to contact our associates on the phone at 888-989-7223. You can also contact us on the web by using our live chat service.